I will create 10 EDU GOV Dofollow PR5 to PR6 Backlinks using redirects to your website in max 24 hours for just $2 ! The cheapest offer for EDU & GOV dofollow backlinks !!! All i need is just your url, i can NOT use keywords on these redirect backlinks. Order now to increase your visitors from Google ! Increase your search engine results page for just $2 if you order NOW ! 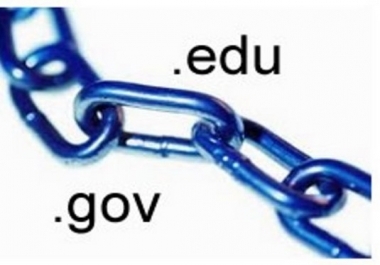 create 10 Dofollow EDU GOV PR5 to PR6 Backlinks using redirects is ranked 5 out of 5. Based on 62 user reviews.